This architecturally significant home is certainly monumental, but more subdued than its European counterparts. Wilson Fuqua designed this home around a classical model that integrates outdoor spaces with vehicles like corner balconies, glazed conservatories and sunrooms, covered first floor and open second floor terraces, and a 50' loggia. The barrel vaulted gallery going across the back of the house looks into the loggia that repeats the arched opening and carved stone columns. 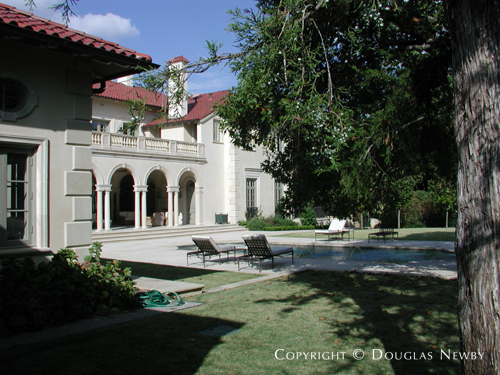 Looking over a private lake in Preston Hollow, this is one of the finest estate homes in Dallas.